Expelled Bahujan Samaj Party (BSP) leader Nasimuddin Siddiqui, his son and wife joined the Congress yesterday while Sharad Pawar, NCP chief, made his own overtures with PDA for Rahul Gandhi while attacking Prime Minister Narendra Modi for "distasteful personal attacks". Both Gandhi and Modi were likely shocked. Modi because he has described Pawar as his "political guru" when he made the trek to Pawar's fiefdom, Baramati, to flag off a project ironically on Valentine's Day in 2015, and Gandhi because Pawar has so far been dismissive of his political abilities and has been a reliable if covert ally to BJP President Amit Shah. Ghulam Nabi Azad, who handles Uttar Pradesh for the Congress, told me gleefully "Siddiqui joining us is a sign of the way the wind is blowing. Many other UP leaders are also going to join us soon". Azad pointedly said that he knew that BSP chief Mayawati would not be upset by the Congress admitting Siddiqui and family as she had expelled him for allegedly siphoning off party funds after the BSP's disastrous showing in the assembly elections. 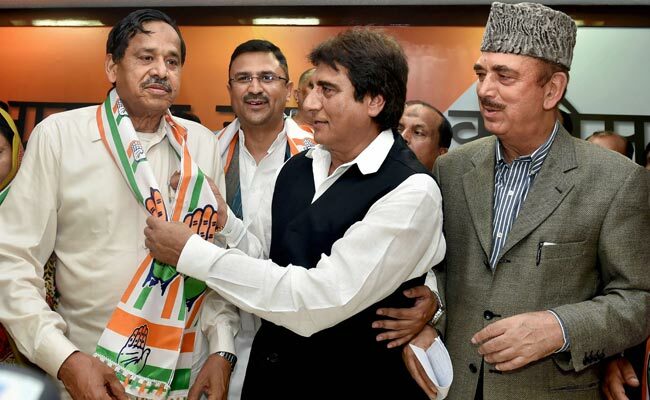 This indicates that the Congress, which hopes to gain in Western UP with Siddiqui's entry has still not giving up trying to have an alliance with "Behenji" despite her numerous public snubs. So is the long Congress somnolence over? Indications are mixed. While senior Congress leaders are delighted that Gandhi, after taking over as president from his mother in December, has made no missteps and stayed put with sustained political engagement and new-found aggression, gaping holes remain in the party's strategy. As first reported by me for NDTV a few weeks ago in this column, despite Rajasthan Congress Chief Sachin Pilot wresting Ajmer and Alwar from the BJP in recent by-elections, he will not be made the Congress's Chief Ministerial face for the Rajasthan state election due early next year. Neither will Congress chief whip Jyotiraditya Scindia be the Chief Ministerial face for Madhya Pradesh, where he is currently campaigning like a man possessed for the Kolaras and Mungaoli assembly seats, both of which are part of his Lok Sabha constituency. Voting takes place tomorrow and will be the last electoral battle between the Congress and the BJP in Madhya Pradesh before assembly elections. 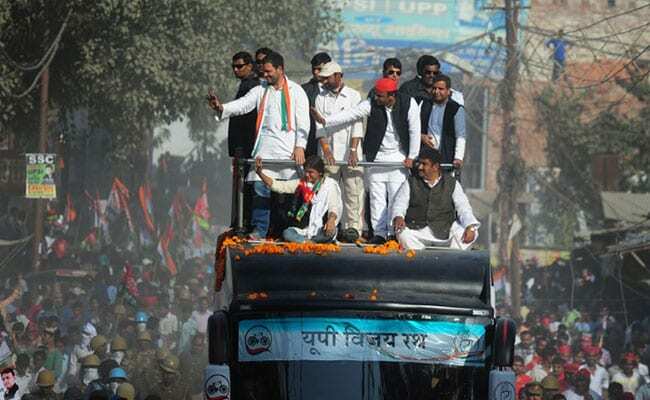 Scindia, on the last day of the campaign, was joined by Kamal Nath, nine-time MP from Chindwara, to send a message of unity within the top leaders of the state. Scindia has also tried to publicly nudge Gandhi in to declaring him the party's presumptive Chief Minister, but to no avail. Meanwhile, Shivraj Singh Chouhan has also left no stone unturned prove their is no anti-incumbency after 14 years of his being Chief Minister. Chauhan and 24 members of his ministry have been camping in the area and campaigning 24/7. As election season kicks off, Gandhi has clearly empowered Karnataka Chief Minister Siddaramaiah who is getting to call the shots and run a smart campaign to retain the southern state, critical for the Congress. With the BJP in power in 19 states, Karnataka and Punjab are the only two big states that the congress now holds. Senior congress leaders say that Gandhi has listened to Siddaramiah on issues such as "Kannadiga pride" and tapping in to "sub-nationalism" as a key strategy to stave off the BJP. Under President Amit Shah, the BJP is going all out to wrest Karnataka which, if they succeed, will give them big tailwinds as the country heads for the general election. Gandhi is also being credited with getting back disgruntled leaders such as Delhi's Arvinder Singh Lovely who had defected from the party and getting former Chief Minister Shiela Dikshit and Delhi chief Ajay Maken to smoke the peace pipe and end (or at least put on hold) the long-running battle within the Congress in Delhi. While an adoring Congress credits every small success to their new chief, Gandhi is really not moving fast enough on the setting up the framework for Election 2019. After dissolving the Working Committee, the party's top decision-making body, he has appointed a Steering Committee, packed with the ho-hum same-old-same-old Sonia Gandhi loyalists. A shake-and-stir is apparently likely in March when Gandhi will ask for 10 of the Working Committee's 20 seats to be decided by elections, rather than nominations which was the route taken consistently by his mother. Gandhi's bid to ensure that all factions are accommodated - which means not rocking the boat in Rajasthan and Madhya Pradesh where powerful factions are arrayed against each other - might still go against the Congress. In Rajasthan, former Chief Minister Ashok Gehlot and Sachin Pilot have been asked to sink their differences and work together. 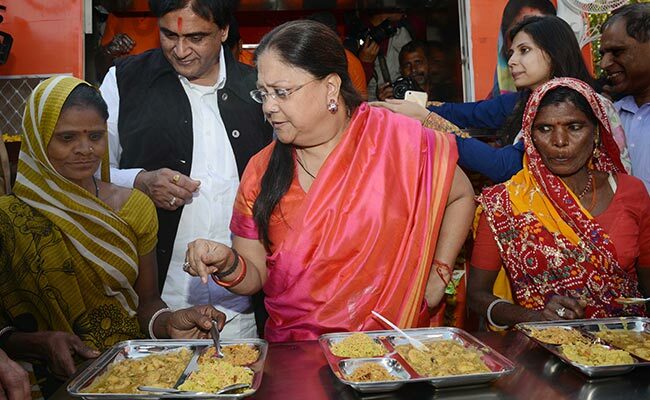 Both sense that Vasundhara Raje can be toppled and both are obsessed with being Chief Minister. It's an open question if the "unified command" that Gandhi has asked for will work - or it will be advantage BJP as Congress rivals push to undermine each other. Madhya Pradesh's problem of leaders with unbridled ambition is even larger. Besides Scindia and Kamal Nath, former Chief Minister Digvijaya Singh is literally circling the state on his Narmada Yatra touching base at a 100-plus constituencies to ensure that he remains part of the political equation despite falling from grace with the Gandhis. A senior Congress leader said, "Gandhi has shown great acumen in getting three community leaders with different agendas together in Gujarat (Hardik Patel, Alpesh Thakor, Jignesh Mevani) - but can he get Congress leaders to work together? If he can make them sink personal ambition, he will be a success as party president. 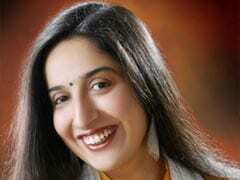 Even his mother could not do it - and she was the longest-serving Congress president." The Gorakhpur and Phulpur by-elections next month in Uttar Pradesh will also provide a reality check of the Congress claims of being battle-ready. Despite it being a prestige contest, Gandhi could not get Akhilesh Yadav, erstwhile ally and Samajwadi Party chief, to put up a common candidate against the BJP. Uttar Pradesh is the only way to power in Delhi, and while the BJP may not be able to match its 2014 record haul of winning 73 out of 80 Lok Sabha seats, it has found a pan-India face in Chief Minister Yogi Adityanath who is currently getting a "vikas" (development) makeover, holding the first UP investor summit on the lines of Modi's signature "Vibrant Gujarat". While the alleged "encounter raj" unleashed by him has upset what a BJP leader derisively describes as the "editorial class", it has been quite popular in Uttar Pradesh, exhausted by off-the-charts crime rates. Contrast that with the Congress which has no face and no organisation or even a plan in Uttar Pradesh. Realisation, however belated, may have dawned and Sonia Gandhi is going to make a trip to her constituency Raebareli this month. However, pocket boroughs don't quite make up a political strategy. Hence, Azad's hasty placation of Mayawati after inducting Siddiqui. The Congress hopes to get all the regional heavy-weights to unite against the BJP in UP. Says a senior Congress party leader "Gandhi should be reaching out to Babu (Chandrababu Naidu, Andhra Chief Minister) who is angry with the BJP and ensure that he switches which will actually make life difficult for the government in the House. 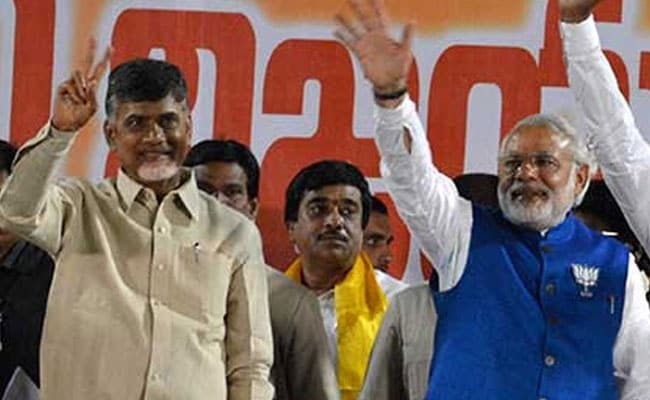 We need to get more aggressive; despite the public anger displayed by Naidu, we are allowing the BJP to placate him". Gandhi has upped his social media game with witty tweets attacking Modi on absconding jeweller Nirav Modi who has allegedly committed an 11,000-crore fraud with Punjab National Bank, the country's second-largest state lender. Gandhi has also appointed a chief of big data, set up a professionals' wing of the Congress, but this does not compensate for the lack of boots on the ground with the party's cadre withering away. 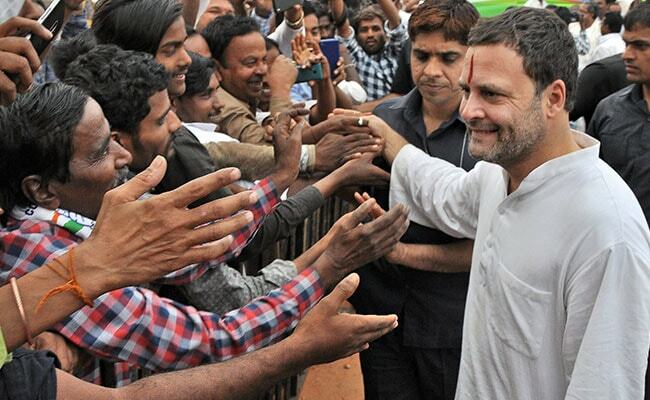 The Congress does not have a booth-level structure which existed in Indira Gandhi's time in every block. Amit Shah has learnt from it and built a formidable one. The Congress is also struggling with funds, evident in the lacklustre campaign currently going on in the North East. The BJP is awash in funds. Gandhi's old nemesis, Himanta Biswa Sarma, is managing the battle for Shah. So what made Pawar, a weather vane with a skill for sensing the direction of Indian politics, praise Gandhi? It was Gandhi's consistent attacks on Modi. 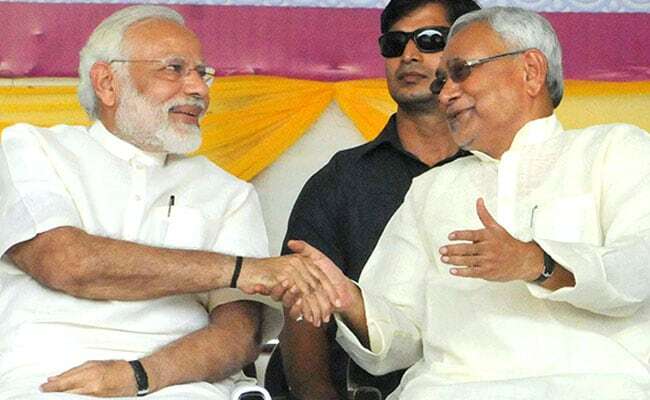 Currently Gandhi's entire politics is defined as being anti-Modi and after Bihar Chief Minister Nitish Kumar's shock defection to the NDA late last year, this consistency is the one thing that is holding Gandhi in good stead. The BJP is tripping on two of its biggest selling points - fighting corruption and delivering development. The 2G case collapsed in court and the country has seen serial exits by billionaires accused of fraud (Lalit Modi, Vijay Mallya, Nirav Modi). The opposition believes that 2019 is wide open with Modi not being a shoo-in for a second term. The one constant thing Gandhi has done is highlight Modi's failures instead of occasionally playing footsie with him like Pawar. Modi and Shah's high-decibel personal attacks on Gandhi and his family have also paradoxically helped him in forcing the opposition and the public to take him seriously. Siddiqui, Lovely, Pawar are all straws in the wind. The Madhya Pradesh and Uttar Pradesh results will also indicate if Gandhi has managed to get his and the Congress's act together.